RVS will assist you in identifying and recruiting Governors and Trustees for your organisation by advertising your vacancy on our volunteering website. Getting on Board is a charity that helps individuals, employers and members of professional networks become leaders in communities through board-level volunteering. Reach is the leading skills-based volunteering charity in the UK and the single biggest source of trustees for the voluntary sector in the UK. 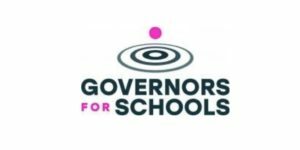 Governors for Schools exists to improve educational standards so that children and young people have the chance to realise their full potential. Trustees Unlimited is a leading resource of trustees and board roles for not-for- profit organisations. Useful documents, reports and reference information. Links to web pages, reports and other relevant documents.